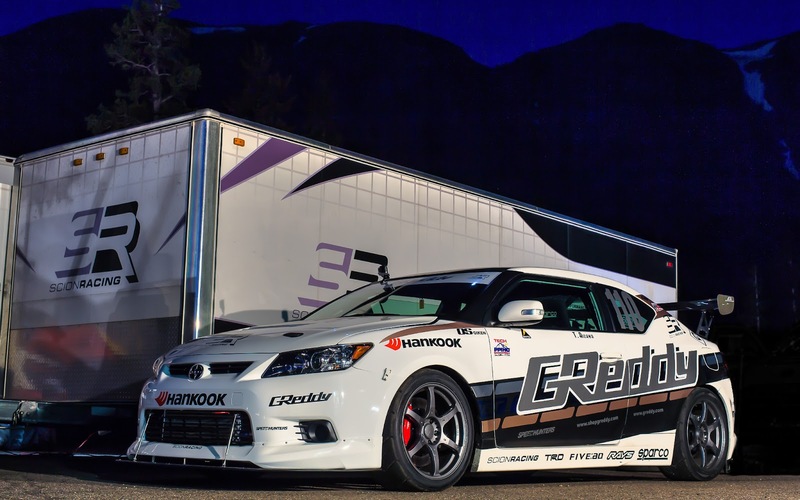 zWith back to back race weeks for Formula D New Jersey and the historic Pikes Peak International Hill Climb, the GReddy Racing / Scion Racing Teams were very busy in June. 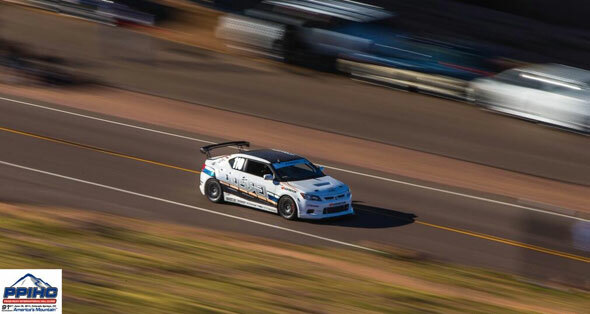 Flying into Colorado Springs directly from NJ, the team change from Drift mode to Time Attack mode. 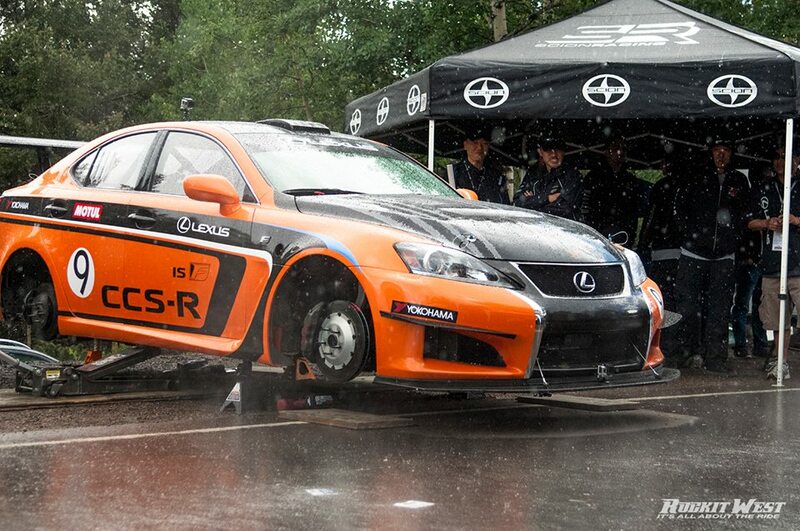 Takeshi Aizawa, Ken Gushi's FormulaD spotter also changed rolls to GReddy tC Time Attack race driver once again. 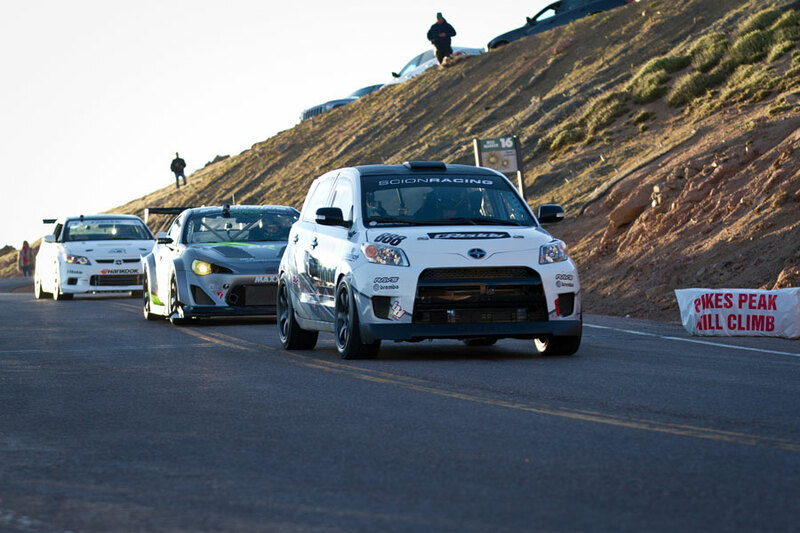 2013 would be the Team's 2nd year competing with the Scion Racing at Pikes Peak on the 12.42 mile course. Weather conditions were good throughout the week's practice/qualifying sessions. And the GReddy crew was more familiar and prepared for the grueling week of 3:00am set-ups, high altitude, and long hours on the mountain. 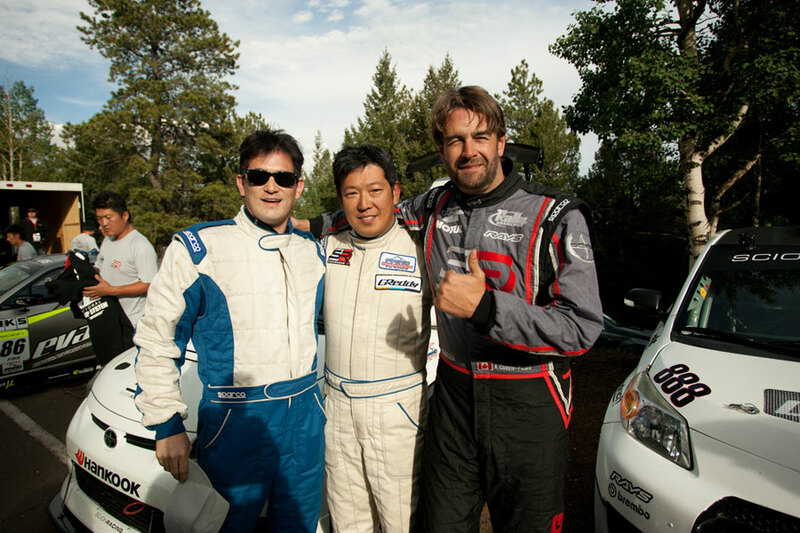 Driver Takeshi was also noticeably faster and more comfortable on each of the three practice sectors of the dangerous Pikes Peak course. Takeshi in the GReddy / Scion Racing tC qualified 8th out of 21 cars in the Time Attack division with a 4:45.356 over the lower section from the starting line to Glen Cove. This was the quickest front-wheel-drive time in the class, barely ahead of team-mate ACP in the Rally xD with a 4:45.605. 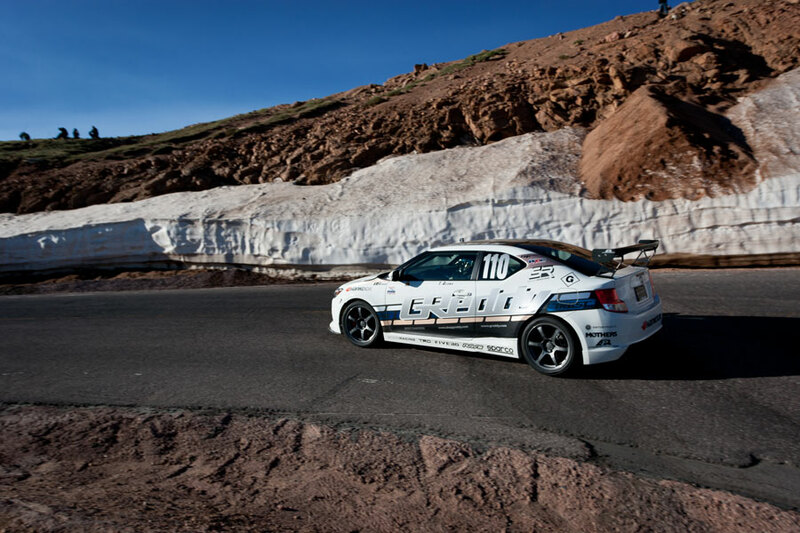 With a time of 12:08.606 in the 2012 Exhibition class for Takeshi's rookie year and the Team predicted and targeted a low to mid 11minute time for this 91st running of the Pike's Peak Hill Climb, baring any big mistakes, breaks or adverse weather conditions. But the true test always comes on race day, when you finally get one run up the entire course. That being said, when the actual race day came on Sunday, June 30th and it was time for Takeshi to make his official timed run over the complete 156 turn course, it began to rain, hail and snow on different parts of the mountain. 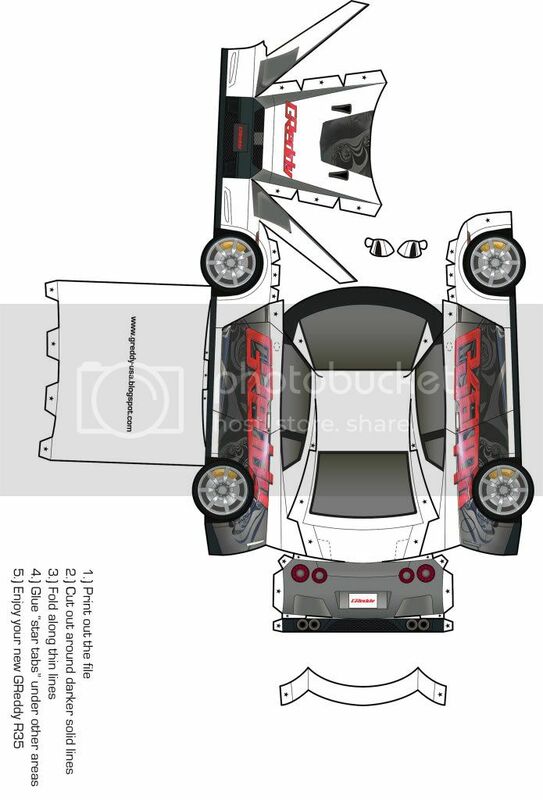 And that is what makes the Pikes Peak International Hill Climb such a challenge - Driver, Car and the Mountain. Although it was sunny at the starting line, by the time Takeshi reached the infamous "Engineer's Corner" (less then half way through the lower sector) it was pouring rain. Then by "Glen Cove" there was hail and towards the top sector it was snowing! But with great skill, Takeshi and the GReddy / Scion Racing tC made it up safely up to the 14,110ft summit in a respectable 13:20.045 in severe weather conditions. Takeshi and the entire GReddy Team is very proud and honored to have competed and completed this historic and challenging race again with the Scion Racing! 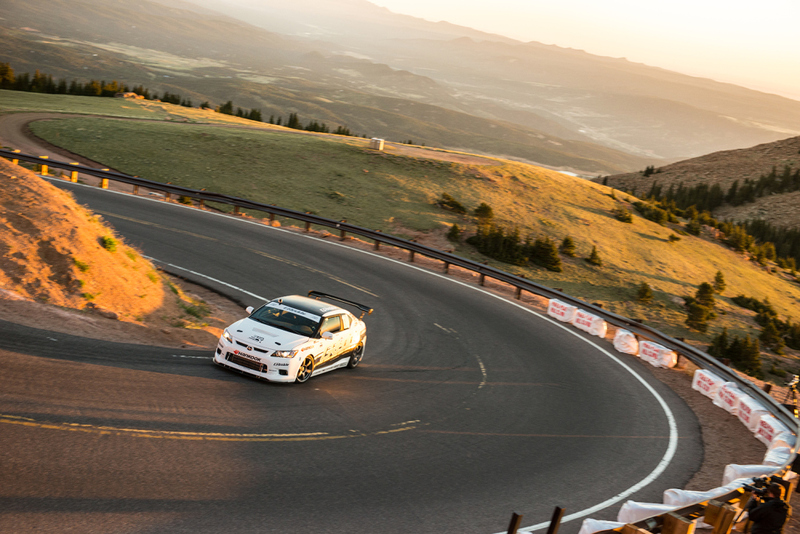 We are also happy to report all of our fellow PPIHC Scion Racing Teams were also successful in making it to the summit of Pikes Peak. Veteran driver ACP really showed his rally experience, piloting the GReddy-Turbocharged Scion Racing RallyxD in similar severe weather conditions to an impressive 12:55.739, while rookie Pikes Peak driver Robert Walker drove an excellent race to the summit in the Scion Racing / Evasive Motorsports FR-S in just 10:59.744 in the Unlimited Class with good weather, earlier in the day.